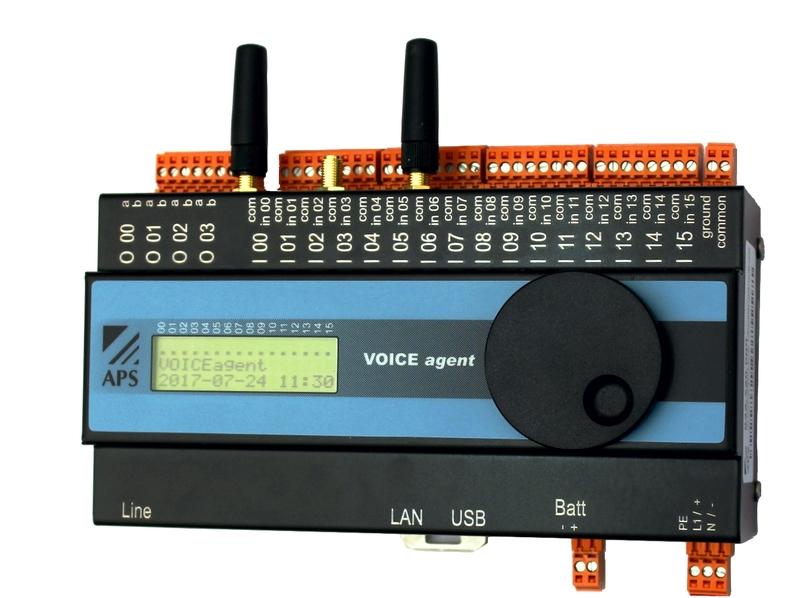 The signals from outdoor stations or other buildings are integrated in the TS400 monitoring and management system with the help of the TS400 Autonomous input modules. 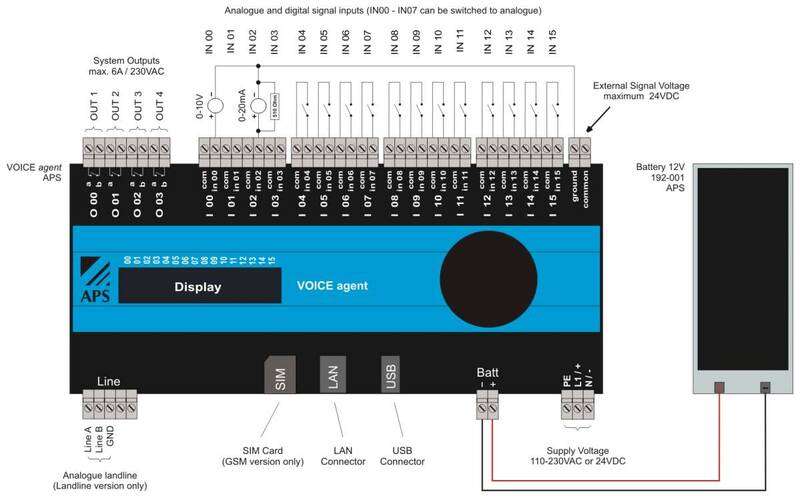 The advantage compared to the local I/O is that the autonomous input modules are also completely functional independently. 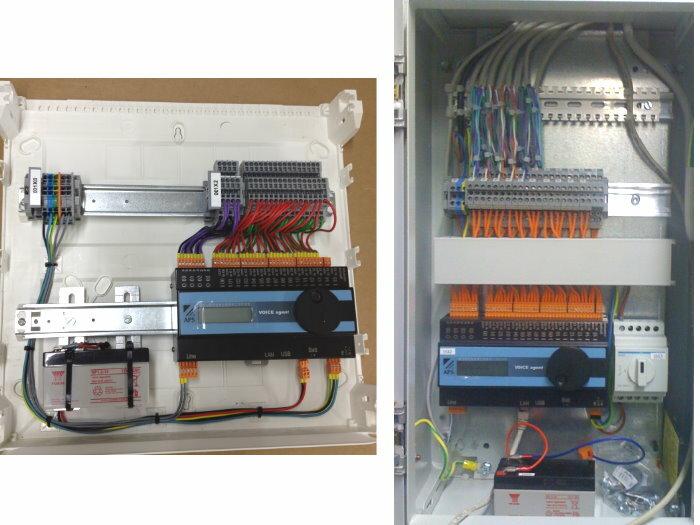 The autonomous input modules are complete alarm systems that report their status to the supervisory TS400. 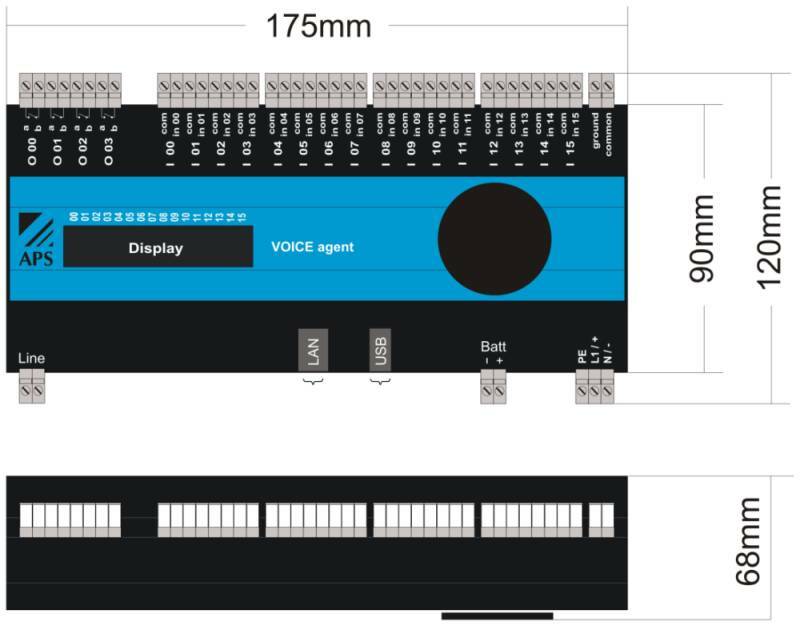 Apart from the 16 inputs, the autonomous input modules also have a display, a modem, a mains adapter and a rechargeable battery controller integrated in them. 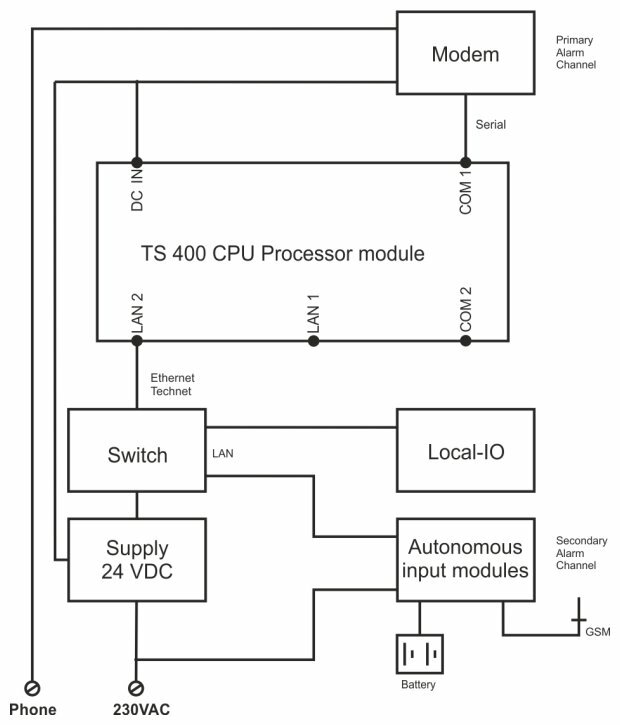 The TS400 Autonomous input modules are linked to the TS400 CPU Processor module via the network. With the default settings, the autonomous input modules transmit the data in broadcast mode. If automatic detection and integration of the APSdg modules is enabled on the TS400 CPU Processor module, and if the TS400 autonomous module is accessible in the same network, the signals are linked automatically. In case of a link via an external network / Internet, the TS400 CPU Processor module requires a fixed IP address.. The other configuration is identical to that for the SIG of the standard I/Os.